Forest ecosystems are defined by a "salient" or common set of characteristics that make the forest ecology of a particular area unique. 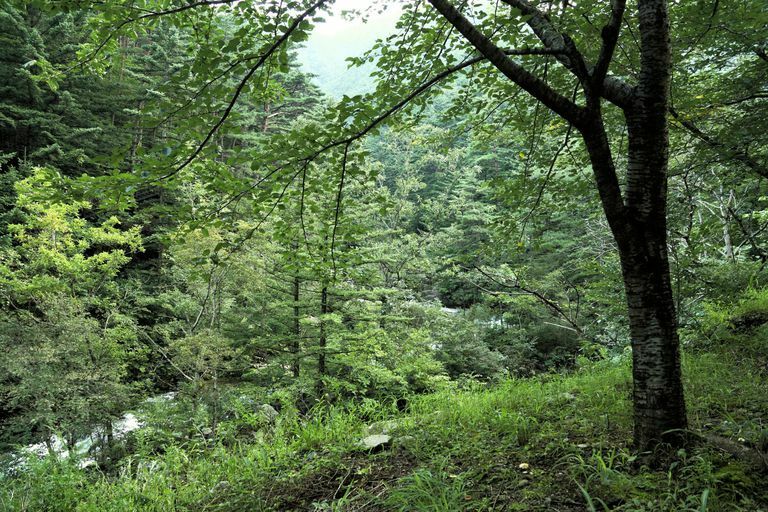 These very complex sets of forest conditions are studied by forest ecologists who try to isolate and classify the common structural patterns that continually reoccur in a particular forest's environment. The perfect forest ecosystem is where simpler biotic communities live in the same approximate space with increasingly more complex biotic communities to each communities benefit. In other words, it is where many individual biotic communities symbiotically live in "harmony" with other biotic communities in perpetuity for the benefit of all neighboring forest organisms. Foresters have developed a somewhat "limited" classification based on plant climax types, or, the type of vegetative communities that would develop under idealized stable conditions over the long-term. These classifications are then named for the dominant overstory trees and key indicator plant species that live together in the understory. These classifications are necessary in the everyday practice of forest management. So, timber or cover types have been developed by forest scientists and resource managers from extensive sampling within vegetation zones that have similar elevational, topographic, and soil relationships. These forest/tree types have been neatly and nicely mapped for the largest forested areas in North America. Maps of these type classes are also created for single and multiple forests as part of a forest management plan. Unfortunately, these somewhat rudimentary forest ecosystem classifications do not completely define all flora and fauna biology that determine a true but complex forest ecosystem and certainly not the whole ecosystem itself. Charles Darwin, famous for his Theory of Evolution, came up with a metaphor he called the "tree of life". His Tree of Life imagery illustrates that there is but one common biological nature and origin and that all living species experience and must share space together. His enlightened studies ultimately fathered a new science called Ecology - from the Greek oikos meaning household - and following by necessity comes the study of forest ecology. All ecology deals with the organism and its place to live. Forest ecology is an ecological science dedicated to understanding the complete biotic and abiotic systems within a defined woodland area. 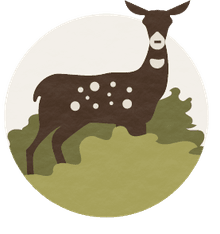 A forest ecologist has to deal with basic biology and community population dynamics, species biodiversity, environmental interdependence and how they coexist with human pressures including aesthetic preferences and economic necessity. That person also must be trained to understand the nonliving principles of energy flow, water and gas cycles, weather and topographical influences that effect the biotic community. We would love to provide you with a neat description of the perfect forest ecosystem. It would be lovely to find forest ecosystems that are cataloged by similarity and nicely listed by region. Alas, ecosystems are "dynamic living things" and always subject to things like ecological aging, environmental catastrophe and population dynamics. It's like asking a physicist to seamlessly "unify" everything from the infinitely small to the infinitely large. The problem with defining a forest ecosystem is the variability of its size with a limited understanding of the "systems within systems" which are extremely complicated. A forest ecologist's job is safe. Defining a forest's size in a forest ecosystem that covers several states is completely different than one that occupies just several acres. You can readily see that there could be innumerable "systems", depending on the definition of parameters and depth of each study. We may never know all there is to complete the study nor gather all the information necessary to our final satisfaction. We end with this definition of a forest ecosystem developed by the Convention of Biological Diversity: "A forest ecosystem can be defined at a range of scales. It is a dynamic complex of plant, animal and micro-organism communities and their abiotic environment interacting as a functional unit, where trees are a key component of the system. Humans, with their cultural, economic and environmental needs are an integral part of many forest ecosystems." A climax forest is the end of a seral successional competition of species.